PoPville » Dear PoPville – What do folks want the Metro Riders’ Advisory Council to accomplish? 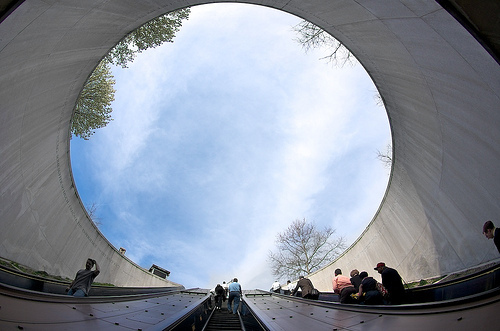 Dear PoPville – What do folks want the Metro Riders’ Advisory Council to accomplish? On Wednesday, the Metro Riders’ Advisory Council elected a new set of officers and started work on its plan for 2013. While the RAC has no formal decision-making authority, it represents an important voice and advocate for riders within the Metro decision-making process. The sprawling complexity of Metro services (MetroRail, MetroBus, and MetroAccess) requires that the RAC prioritize and focus its efforts on the issues that matter most to riders. People could say that we need to focus on improving a specific part of Metro’s service (rail, bus, MetroAccess), or we should hold Metro accountable on certain themes (safety, reliability, on-time performance, transparency, release of data), we could look at frequent customer service issues and complaints (track work, employee quality), or we could concentrate on future plans (preparations for the Silver Line, additional metro lines, bus service changes). Metro is such a complicated beast – in order to maximize the RAC’s efforts we really have to narrow down our list of concerns to the ones that impact the riding public the most. Everyone has their idea of what’s needed to “fix” Metro. What the RAC wants to know is where the riding public wants its (admittedly limited) leverage to be concentrated. Our question to PoPville is: What issues should the RAC focus on in 2013? What does the riding public want the RAC to accomplish, given its limited mandate?